OK-These headers are the real deal. You are probably looking at the price and saying that is pretty expensive. Well, you get what you pay for. These are super nice. They are constructed using thick 3/8 inch flanges and heavy 16 gauge tubing. Just as important, the fit is absolutely fantastic. They come complete with all the necessary mounting hardware, collector reducers, premium gaskets and detailed instruction sheet. 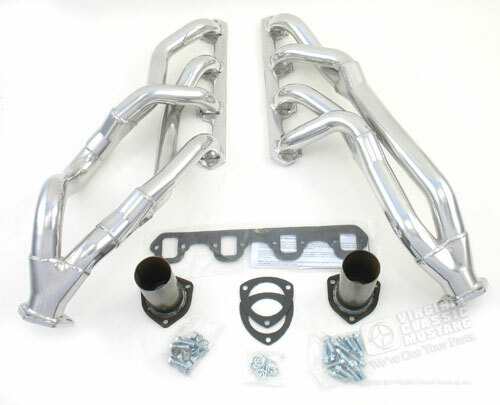 Please note: We do not have an H-pipe to fit these headers. Any exhaust shop will be able to easily fabricate one. Must use non-HiPo Clutch Equalizer Bar. EH37 Drop Bracket required on models equipped with Power Steering models.